Double Extension Table gives you solution for more extra wide table. 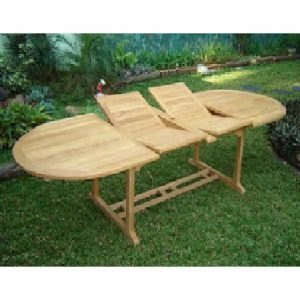 Distinctive design to provide wide dining table when invite more guest in your dinner party. 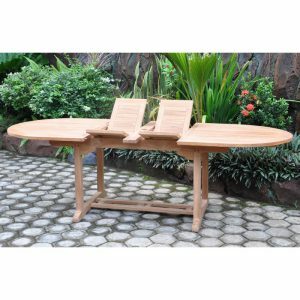 The collection available is ranging from Double Extension Table Round, Double Extension Oval, Double Extension Double Oval 4 Legs, Double Extension Table Oval, and Double Extension Table Rectangular. This unique construction is consist of two folded parts, which enables to use both when need extra wide table, or just one. 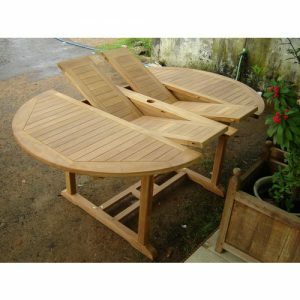 The tables are made from finest teak material thus the quality is guarantee. All tables are naturally finished to expose the beauty of its material used. 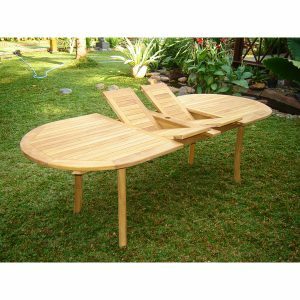 The tables would bring natural impression to your outdoor spaces.